Neuroscientist Bobby Kasthuri discusses the possibility of mapping the entire human brain. The Hope & Healing Network makes it easier than ever to give thanks and give back. Chicago faculty and researchers are making groundbreaking discoveries and translating this research into solutions. Your contributions enable us to conduct research, educate future leaders, provide the most advanced health care, and improve the lives of millions. Medicine on the Midway is published for friends, alumni, and faculty of the University of Chicago Medicine, the University of Chicago Division of Biological Sciences, and the Pritzker School of Medicine. The Forefront magazine is published three times a year by the University of Chicago Medicine. 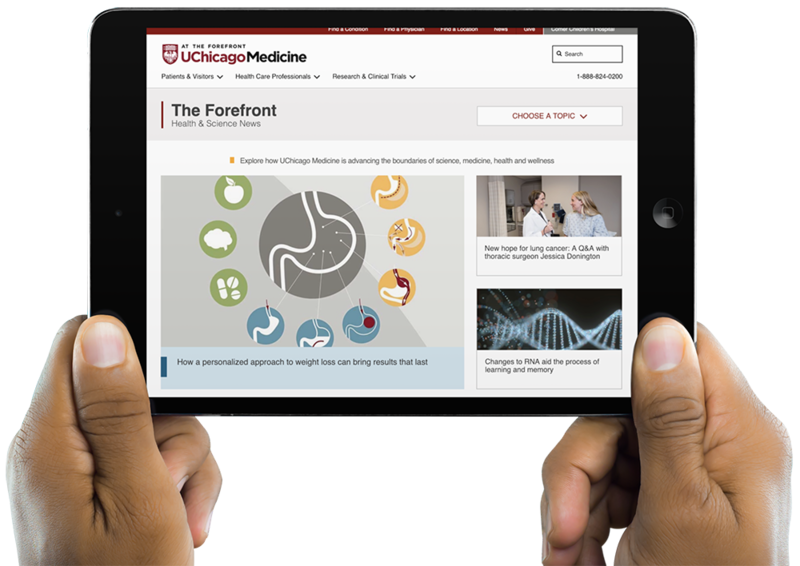 The publication is designed to keep consumers updated on the latest breakthroughs and news University of Chicago Medicine. 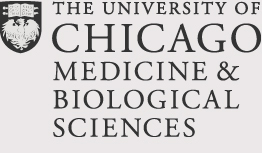 The past year has been an exciting one for the University of Chicago Medicine. Learn about it in the Community Benefit Report. Read the stories we’ve captured of the people who are making an Impact at the University of Chicago Medicine & Biological Sciences. Since opening in May 2018, UChicago Medicine's adult Level 1 trauma center saw more than 2,200 trauma patients. The Robert R. McCormick Foundation donated $1 million to support the center's initiatives. Region’s first pediatric lupus clinic opens at Comer Children’s Hospital thanks to the generosity of the Handley family and Lakeshore Recycling Systems.